There are many methods used when it comes to diagnosing heartworms in dogs and cats, but unfortunately, it is very difficult to identify the parasite. That being said, it is important to look for multiple signs in an animal. 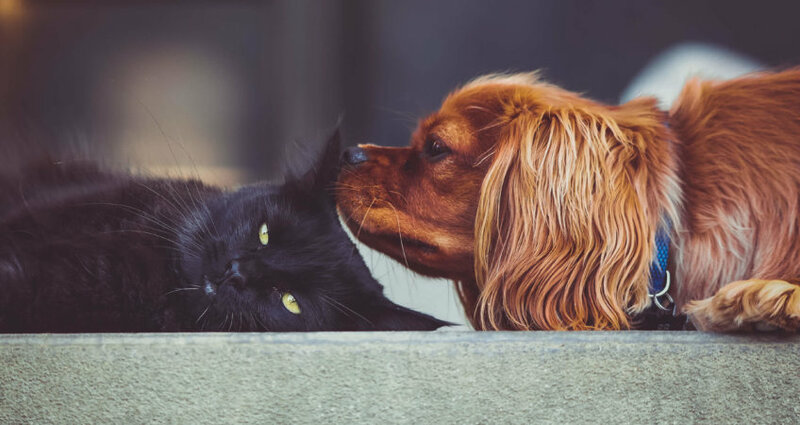 Although there are multiple methods for diagnosing heartworm, prevention is always the best treatment and we’ll talk about prevention methods in another blog. 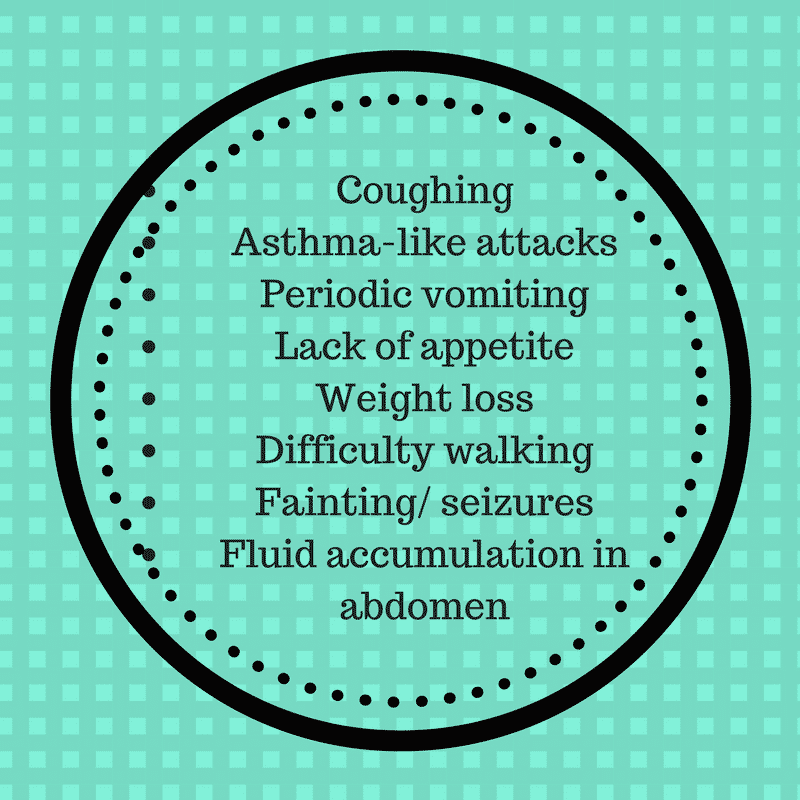 If you start to see some of the signs and symptoms below, seek veterinarian help immediately. 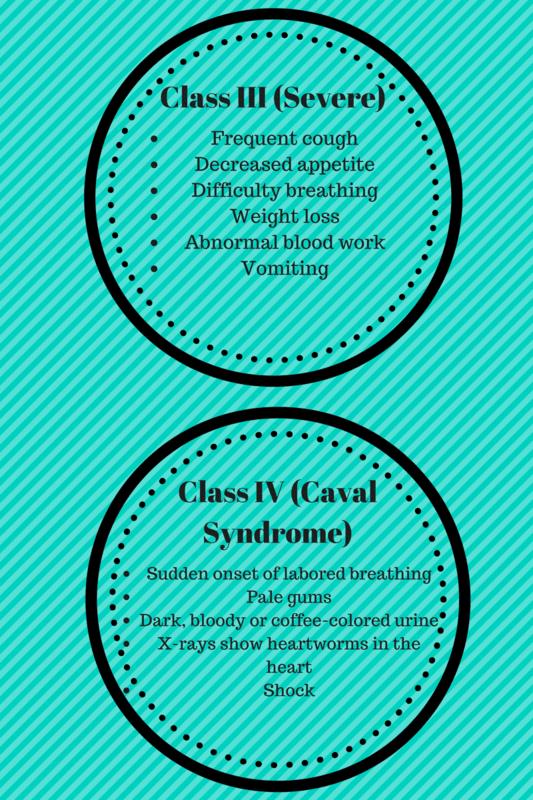 The longer the infection persists, the more likely the symptoms will develop and eventually lead to Caval Syndrome. Caval Syndrome is an acute manifestation of heartworm disease, that occurs with a large number of heartworms in the right side of the heart that pass through the tricuspid valve apparatus. Dogs with a large number of heartworms can develop sudden blockages of blood flow within the heart, leading to a life-threatening form of cardiovascular collapse. As the disease progresses, heart failure develops and so does the appearance of a swollen belly due to excess fluid in the abdomen. Symptoms are either very subtle or very dramatic in felines. 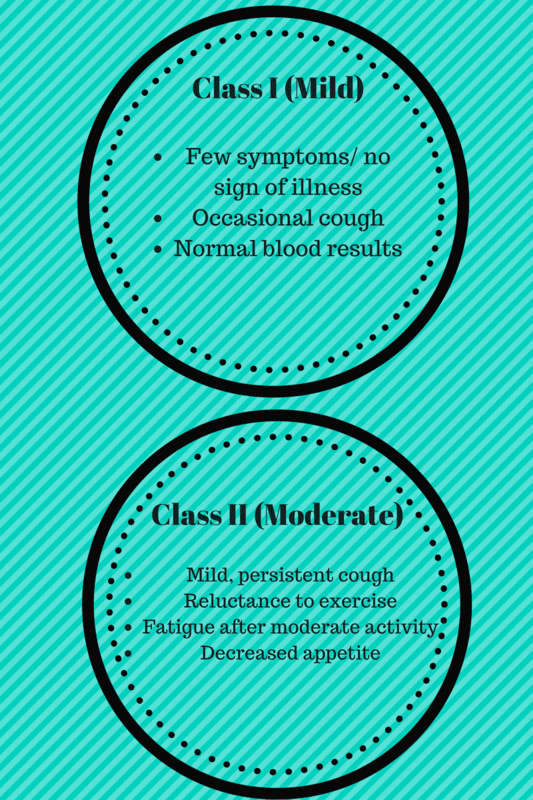 Unfortunately, sometimes the first sign in some cases is sudden collapse of the cat or sudden death. A reputable rescue will do physical exams on all of the animals they receive and look for the signs and symptoms listed above to proactively try and catch the disease early. They will engage a licensed veterinarian to check that the animals are up-to-date on all required vaccines and shots, and check that they are heartworm/parasite free through a blood test. If vet care is needed, a reputable rescue will ensure the animals receive the care and treatment needed. If care is unable to be given due to circumstances, reputable rescues will ensure the adopter is fully informed of the animal’s state of health prior to adoption (medical records). Look for part three of the heartworm series to learn about prevention and treatment options! “Heartworm Basics.” American Heartworm Society. N.p., n.d. Web. 25 May 2016. <https://www.heartwormsociety.org/pet-owner-resources/heartworm-basics>. Kittleson, Mark D. “Case 31.” Case Studies In Small Animal Cardiovascular Medicine. N.p., n.d. Web. 30 May 2016. <http://www.vetmed.ucdavis.edu/vmth/small_animal/cardio_kittleson/cases/case31/text.htm>.